So, you think I'm broken?! Fix me! 'Cause I'm no quitter. Let's go! 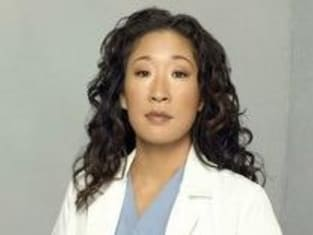 Grey's Anatomy Season 4 Episode 15: "Losing My Mind"
Dr. Wyatt: We had our first honest conversation about your feelings, and now you want to leave. That timing doesnâ€™t strike you as strange? Meredith: No, and Iâ€™m still firing you. Dr. Wyatt: No, youâ€™re quitting. Meredith: No, Iâ€™m not quitting. I donâ€™t quit things. Dr. Wyatt: No, actually you do. Your mother quit your father. Your father quit you. You quit your boyfriend and if I read your hospital chart correctly you quit your life momentarily on a couple of occasions. You quit. Itâ€™s what you know how to do. Meredith: Now youâ€™re really fired.